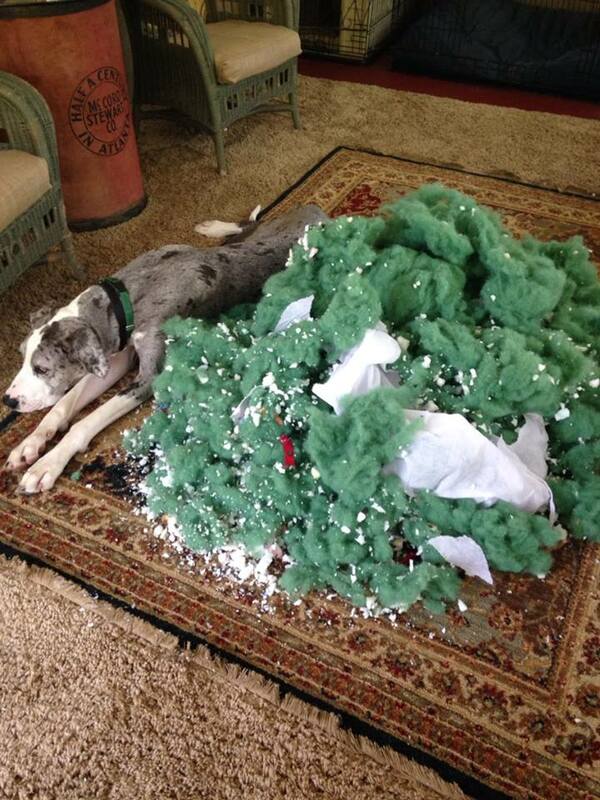 BIRMINGHAM, ALABAMA, (CT&P) – A two year old Great Dane named Truly expressed her “deep and sincere regret” for actions taken Wednesday afternoon while her Mom was out working in the yard trying to prepare her home for sale. It seems that Truly was lying on the sofa snoozing when she detected an odor emanating from one of the sofa cushions. If Truly’s story is to be believed, she began by licking the area on the cushion extensively in an attempt to remove the offending odor. This effort being unsuccessful, she then made the mistake of using her prodigious canine teeth. One thing led to another, and the end result was the wanton destruction of yet another valuable piece of furniture. “According to my estimates, Truly has consumed or destroyed just under $30,000 worth valuables and everyday goods since she was a small puppy,” said Truly’s Mom, who wished to remain anonymous lest Federal officials place Truly on some terrorist watch list. A guilt-ridden Truly continued to apologize profusely and offered to do penitence for her sins as Mom’s insurance adjuster took photographs of the crime scene. 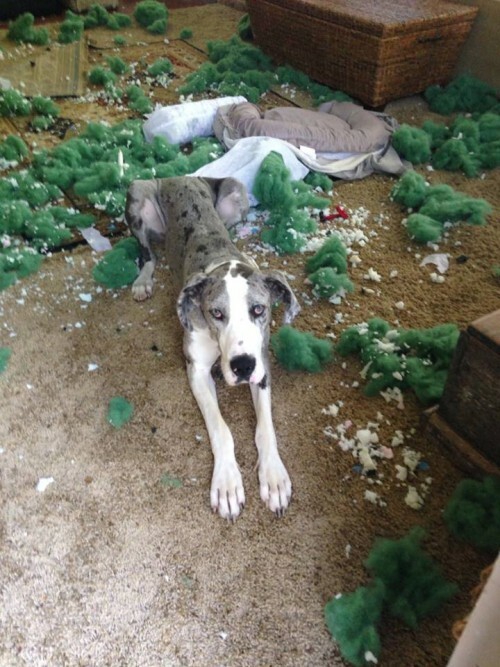 Although this incident is just one in a long line of similar catastrophes, Mom’s State Farm Agent, Billy Bob McSneed, assured her that the damage was covered under her policy and Truly’s swathe of destruction had not yet reached “Acts of God or wartime obliteration’ levels yet. “I think the best course of action for Mom here is to find a nice U.S. Army armored division for Truly to join. It’s just too much for any homeowner to handle, living with a 150 lb locust on steroids roaming about the house,” said McsSneed. We’ll do our best to keep you updated on further developments and in the meantime, if anyone has any suggestions, such as coating the entire home with capsicum oil, please don’t hesitate to email us.